Leading WA criminal lawyer, Associate Professor, Centre for Forensic Science, University of WA; author, speaker. Past President of the Criminal Lawyers Association of WA; Australian & NZ Association of Psychiatry, Psychology and Law; Australian & NZ Forensic Science Society (WA); Member American Academy of Forensic Sciences; and internationally recognised jury researcher. Judith has worn zebra-print shoes into a courtroom, represented transsexuals, bikers, alleged murderers and rapists, and raised four children on her own. Once a battered wife, who, struggled to feed her family she is now one of Western Australia’s best-known criminal lawyers. She is also an expert in forensic science, and an internationally recognised jury researcher. Judith has been honoured to serve as an Australia Day Ambassador, been awarded a life membership of Angelhands (a support organisation for secondary victims of homicide), and her law practice was a 2014 state finalist in the Telstra Business Awards. Judith has carried out several research projects on juries, including a study of juror intimidation at the W.A. Attorney General’s personal request. She had permission for almost unprecedented access to jurors for post trial interviews. Her bold approach to life and law is inspiring, and her stories about the world of crime and justice told in her book ‘Life, Law and Not Enough Shoes’ are fascinating. Judith has recently returned from her second stint as a speaker on the prestigious ship the Queen Mary 2, where she attracted standing room only crowds of over 600 passengers at each of her seven presentations. Judith will entertain, inspire or confront any audience. Alternatively she can just have them “rolling in the aisles” with tales from 25 years of crazy experiences in the practice of criminal law; she is entertaining, motivational and (if you ask her nicely) downright hilarious! She is a first-class speaker whose entertaining and informative presentations will inspire and motivate any audience. Judith can also create or tailor a presentation to suit your specific event theme or requirements. Life, Law & Not Enough Shoes: Adventures of a lady lawyer in the world of crime. Stories of wild characters and crazy experiences from 25 years of criminal law practice told by one of the world’s greatest appreciators of shoes as works of art, Judith Fordham. From Zero to Hero. Lawyer, forensic scientist, mentor, domestic violence survivor: the inspirational story of Judith’s path from despair to success. Behind Closer Doors: Secrets of the Jury Room. As one of the few people in the world who has had the chance to talk to hundreds of real jurors after real criminal trials, Judith offers insights about the CSI effect, what jurors love and hate about lawyers, how trials go off the rails, what happens when a bully is the foreman, and the result of jurors using a Quija Board to contact the victim in a murder trial. The Real CSI: Truth is stranger than fiction. How science trumps even the smartest criminal. This selection of real life forensic cases gives you an insight into how scientists, lawyers and police think, and what happens when these worlds collide in criminal investigation and prosecution. Guilty or Not? Join barrister and forensic expert Judith Fordham as she relives the trial of a father accused of killing his infant son. Whose side are you on? How do you feel? While this presentation is not graphic, it may be emotionally confronting. 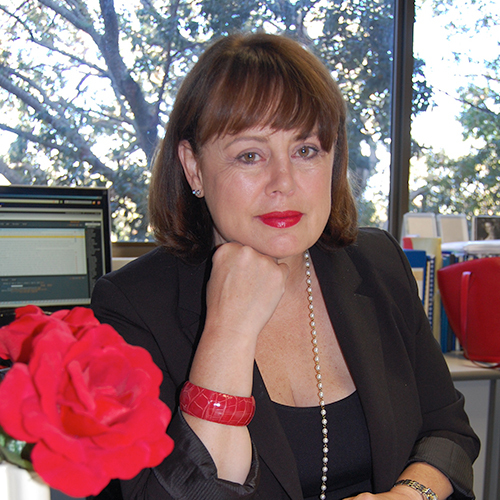 Lisa M. Scaffidi, The Right Hon Lord Mayor of Perth. Lee Lawrence. Executive Officer. South Coast Regional Chamber of Commerce. Steve Wright, Chief Executive Officer. The Professionals Real Estate Group. Heather Maher. Narrogin District Education Office. Strong, confident and intelligent presenter, but also down to earth and humorous. Reads and relates to audience extremely well – very personable and informative. Judith was very appropriate as a presenter at senior executive level – could handle any question. Inspiring life story for both men and women.